Jon Jones. Pic by USA Today. -Source click-Credit: Tommy Gilligan. 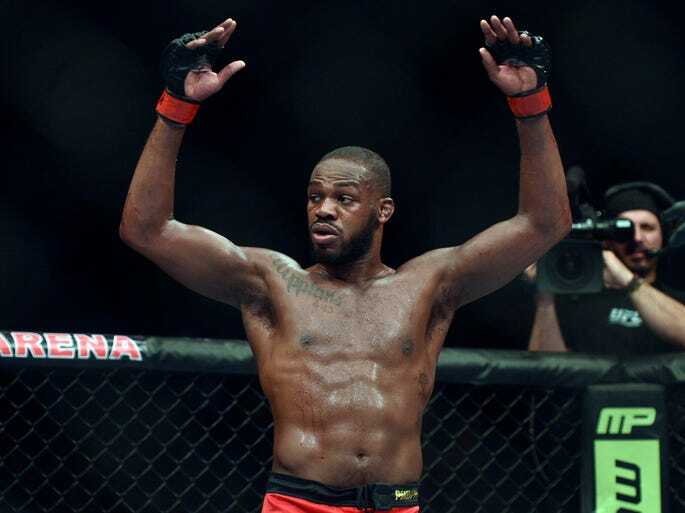 With his victory over Glover Teixeira, Jon Jones extended his record reign to seven consecutive title defenses in the light heavyweight division. While he is without doubt the current pound for pound king right now, some would argue he is the best pound for pound fighter ever. There is currently no word on when Jose Aldo would defend his title again but as mentioned the logical match would be against Chad Mendes. Aldo is Mendes only career loss and Mendes has gone undefeated since that early career loss so once again it makes sense. Renan Barao would have faced Raphael Assuncao had he been healthy. Instead he injuries resulted in his facing T.J Dillashaw at UFC 173 on May 24, 2014. In all honesty Dillashaw doesn’t stand too much of a chance as a younger version of Urijah Faber. It was recently announced that Cain Velasquez will be coaching opposite Fabricio Werdum on The Ultimate Fighter: Latin America. The two coaches will then fight at UFC 180 in November 15th. Like several champions this will actually make him ineligible for the rankings. Demetrious Johnson is returning to pay per view in his title defense against Ali Bagautinov coming up at UFC 174 on June 14, 2014. It has been long overdue and one can only hope it is a welcome return for Johnson who’s been a stable on other fight cards. After delays, surgeries for recurring injuries, and opponent shuffles Chris Weidman will finally be facing Lyoto Machida at UFC 175 on July 5. Like almost every champion in the UFC, Johny Hendricks had to undergo surgery recently and should be returning to training next month. Anthony Pettis should start filming the twentieth season of The Ultimate Fighter in the next few months to help find the strawweight champ. At present Anderson Silva is just training and while he is almost walking on his own again his recovery will likely take the rest of the year. After she’s done with some filming commitments, Ronda Rousey will jump into training for her UFC 175 title defense against Alexis Davis. The following fighters are considered contenders: Vitor Belfort, Gilbert Melendez, Alexander Gustafsson, Daniel Cormier, and Urijah Faber.